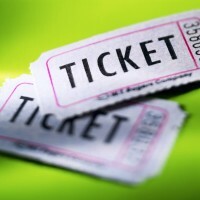 Happenings in Los Angeles, LA events and activities in the Los Angeles County area. With its spectacular Zeiss star projector, laser digital projection system, state-of-the-art aluminum dome, comfy seats, sound system, and theatrical lighting, the Samuel Oschin Planetarium Theater is the finest planetarium in the world. It’s also right in our backyard. And every day Wednesday-Friday, you can take advantage of the less crowded weekdays to take kiddos to a show. There are 4 rotating shows, and kiddos under 5 are only allowed in the first show daily (weekdays, that’s at 12:45 p.m.). Loosen your marshmallow-roasting arm, pack up the family and head out for an evening around the campfire. Meet at the campfire amphitheater. The tours are free, but you need to sign up at the Information Desk beginning at 11 a.m. for the 11:30 a.m. program on the day you’d like to participate. The Friday Night Family Festival is one of the longest, 23-years in LA County tradition, along Myrtle Avenue in Monrovia’s historic Old Town District. The mission of First Fridays is to promote and support local artists and musicians, by providing them with an outlet to showcase their work. Every first Friday night of the month, participating Bixby Knolls businesses will unite, to promote local artists and musicians through extended operating hours. In doing so, they hope to encourage a dialogue between businesses, artists and the community. This award-winning class offers a unique intro to music thru original, handcrafted, soulful songs. Come sing, dance, learn the fundamentals of music and start creating memories with your kiddos that will last a lifetime. Ladybug classes are mixed age (infant–4 years) and multi-generational. Free Demo Classes available at selected locations: Studio City, Hollywood, Santa Monica & Tarzana. every Thursday at 6 p.m. & 7:15 p.m. The free Cañon Summer Concert Series features all kinds of upbeat music from jazz and classic standards to Big Band. Seating is available on a first-come basis. Bring a meal to enjoy. (Or pick up a tasty picnic on the grounds at Bouchon Bakery!) Plentiful seating provided on a first-come basis with open grass area for picnic blankets, tables and chairs. There’s a different concert every Thursday night from June 4-September 3. Introduce your kids to both art anddowntown Los Angeles at the Downtown Art Walk. The free, self-guided, public art gathering brings together art lovers and community friends to the ever evolving downtown Los Angeles. With exciting and unique offerings around every corner, downtown celebrates the arts each and every month on the 2nd Thursday. You can involve the kids even before you leave the house by letting them help you create a customized Art Walk Map online that you can then print out and follow! Every Thursday at 9:30 a.m. or 11 a.m.
Silverlake, One Down Dog Yoga , 4343 W. Sunset Blvd., Los Angeles, Ca Peek-A-Boo Music is offering a free demo Kindermusik class for babies and toddlers every Thursday in July. The times are 9:30 a.m. for the toddler classes (Wiggle & Grow) and 11a.m. for the baby classes (Cuddle & Bounce). Every Thursday at 7 p.m. to 10 p.m. The incomparable setting of the Santa Monica Pier hosts these free concerts where you can watch the sun set over the water (or from the Ferris wheel) while you listen to the music. The lineup this summer includes music from New Orleans, classic Rock (Jefferson Starship! ), indie pop and reggae dance hall. Check the website to see who is playing when! It’s a great way to end a summer day at the beach (and miss beach traffic heading home)! Every Thursday at 4 p.m. to 5 p.m. Experience art and learn about world cultures from every continent. Through drawing, painting , sculpture, collage, printing, we will explore different media while experimenting with a variety of visual techniques to build basic skills and to expand creative expression. Taught by Barnsdall Arts and funded by The Diller -von Furstenberg Family Foundation, these free after school art workshops are hosted every Tuesday & Thursday. Bring your girl to this American Girl Truly Me event, where she can celebrate her unique self by making a bookmark, signing an inspirational poster, and exploring the books that top her summer reading list, too! All participants will receive a doll-sized Truly Me tee (while supplies last). Come and enjoy the artist behind People magazine’s #1 Cool Kid Album of 2013! Praised by USA Today, CBS (and Red Tricycle) as one of the best kids’ bands in Los Angeles, the husband-and-wife duo serve up catchy pop and cleverly crafted lyrics amusing to audiences of all ages. Be sure to come early to enjoy the KidZone before the show, featuring kid and family-focused vendors and nonprofit community partners presenting interactive fun and games. Festival starts at 5:30 p.m., music begins at 7 p.m. Play dates are at a new time near Giggles ‘N Hugs. Bring the kids for weekly, free loads of fun with balloon animals, face painting, arts and crafts and so much more. Universal CityWalk celebrates the opening of Minions with a dance party featuring the mischievous Minions. See advance screenings of Minions at AMC Theatres on Thursday, then both nights take part in the DJ party at the “5 Towers” stage with Minions spinning and dancing to their favorite songs, meet the Minions and grab free Minion-themed giveaways. Every year the Griffith Observatory breaks out this special program for school holidays, and now it’s back for Summer Vacation, and you don’t want to miss it! Let’s Make a Comet is a 25-minute demonstration program that mixes common household ingredients with dry ice to make a small comet that’s just like the real thing. The program explores the nature of water in all its forms – solid, liquid, and gas – and discusses why water is so important to life on Earth. Recent images and discoveries from NASA missions reveal where we might find water – and possibly life – on other worlds in our solar system. It’s fascinating science, and it’s also lots of fun! Shows are Tuesday-Friday at 2 p.m. & 4 p.m. and weekends at 1 p.m. & 3 p.m.
Every Thursday at 7 p.m.
Bring some good cheer and your friendly local Park Rangers will provide the rest including a nature program, campfire, and marshmallows! 1. Free, fabulous productions of Shakespeare! 2. One of the most beautiful, best kept secrets of an outdoor space: the Old Zoo in Griffith Park. 3. Bring a picnic and catch one of the special shows throughout the summer where there are fantastic Players in the Park or Invertigo Dance pre-shows for the whole family. 4. Explore and play before the show. This summer you can see As You Like Itor Romeo and Juliet. Check the website to see which is playing tonight. Bring bug spray and warm clothes, as it gets chilly when the sun goes down. Blankets and low chairs are permitted, tall chairs and dogs are not. Shows run all summer Thursday-Sunday at 7 p.m.
Join a ranger for a hike through grassy hills while learning about the wiley coyote—a savvy and opportunistic creature. Meet in the main parking lot and wear/bring layered clothing. Every Friday at noon to 3 p.m. Stuck for what to do for lunch? Bring the kids to the Promenade for food and entertainment! This annual summer series takes place every Friday afternoon with live music, classic board games, interactive challenges, and special performances like a street performer showcase, bike clinic, a performance by the Santa Monica Symphony Orchestra and more. A girl pretending to be a boy. A man that talks to skulls. A wrestler, a shepherd, a duke and romance – even kids will love a journey to the forest of Arden. Shakespeare by the Sea is performing “As You Like It” this summer at locations across the city in free, outdoor performances perfect to bring a picnic and the kids to! Don’t forget blankets, sweaters, chairs and a picnic to while you lounge on the grass and listen to the jazz… Every Friday from April 18th through the end of October, you can hear a free jazz concert at LACMA in the grand entrance. Bring the kids early to snag great seats and let them run around Hancock Park, rolling down the hill and exploring the tar pits before the concert starts. And remember that the museum is free to all Los Angeles County residents after 5 p.m. on Fridays (Mondays, Tuesdays & Thursdays too! ), so be sure to check out the latest exhibits. Griffith Park, Griffith Observatory, 2800 E. Observatory Rd., Los Angeles, CaEvery year the Griffith Observatory breaks out this special program for school holidays, and now it’s back for Summer Vacation, and you don’t want to miss it! Let’s Make a Comet is a 25-minute demonstration program that mixes common household ingredients with dry ice to make a small comet that’s just like the real thing. The program explores the nature of water in all its forms – solid, liquid, and gas – and discusses why water is so important to life on Earth. Recent images and discoveries from NASA missions reveal where we might find water – and possibly life – on other worlds in our solar system. It’s fascinating science, and it’s also lots of fun! It’s “Open Ranch” day at Windy Hill Alpaca Ranch in Somis today. Take a tour and learn about the alpaca ranch. This is a free event and all ages are welcome, as are strollers and wheelchairs (but no pets, please as they startle the alpacas). On the second Saturday of every month at the Reyes Adobe Historical Site kiddos can participate in hands-on activities and make art projects. Before your visit, have lunch in the park, enjoy the playground, or bring a soccer ball to kick around. Activities are geared towards children ages 3-8 and are free (with donations cheerfully accepted). Docent-led tours of the historic adobe and museum are also available for all ages, if you feel a fact-finding mania come over you! Have your kids ever seen the “Game of Kings” played live? It’s majestic and relaxing to lounge on a blanket with a picnic brunch or lunch and watch horses pound up and down the field right before you. (Players often let the kids on the field between matches to meet the horses.) Learn a little bit about polo, watch a match and then hike the park or tour Will Rogers old house (he was a huge horse and polo fan). Matches are free and open to the public all summer. There are matches most Saturdays from 2 p.m.-5 p.m. and Sundays from 10 a.m.-1 p.m.
Four pop music concerts are held at the lovely waterfront setting of Burton W. Chace Park each summer. Bring a picnic, low beach chairs and blankets for first-come, first-served seating. Come early for best seating, and bring along a jacket or sweater to stay comfortable at night near the water. Join popular picture book author Barbara Bottner and super-librarian Hillary George (with her ukulele) for a celebration of Barbara Bottner’s charming new book, Feet Go to Sleep, a gentle bedtime book that includes a proven relaxation technique parents can use to help their little ones go to sleep after an exciting day. Listen to Señora Jackie read a children’s story in Spanish. Kids ages as young as 2 who don’t even speak Spanish fall in love with the story and connect with the language and Hispanic culture. This activity is followed by a craft. Redondo Beach has another free summer concert at the pier this Thursday. Concerts are every Thursday and Saturday through Labor Day weekend. It’s a great way to end a day at the beach. And miss traffic. And a fabulous excuse to eat some crab. From a Beach Boys cover band to classic rockabilly, salsa or reggae, there’s something for everyone: check the website to see what band is playing each night. Every Saturday at 5 p.m. to 7 p.m.
Latin Sounds brings world-renowned artists playing the latest sounds from Brazil, Argentina, Peru, Mexico, and Los Angeles on Saturday afternoons from Memorial Day through Labor Day to LACMA. Check the website to see who is playing each week. Get ready to dance! Don’t forget blankets, chairs and a picnic to enjoy the music on the grass. Bring the kids early to snag great seats at the outdoor amphitheatre and let them run around Hancock Park, rolling down the hill and exploring the tar pits before the concert. It’s the 50th anniversary of this fest where there will be music, dancing and fun, but really– it’s all about the food. Spanikopita and salad and of course the highlight (and reason to invest in some ever un-stylish elastic waist pants) – the desserts. Pastry creations like baklava, powdered crescent cookies – and the king of custards, galaktoboureko. It doesn’t matter if you can’t say it, you can eat it! Discover how the Chumash used the natural resources of the environment for thousands of years to create a sustainable way of life. Take an easy 1 mile walk through the woods and learn from a Ranger! Not only can you get your fresh fruits and veggies for the week at a gorgeous Farmers Market, but this Sunday, your kiddo can take part in Cookin’ Kids at the Beverly Hills Farmers Market. There’s a petting zoo and pony rides for kiddos, too. Every Sunday at noon to 12:30 p.m.
Every Sunday the folks at Dana Wharf offer a free kids’ fishing clinic, providing dockside experience for young anglers. No reservations are needed. After the free clinic, kids can participate in a half-day fishing trip – kids get a free fishing trip per (paying) adult. Here’s a museum you may not have been to – and a few reasons you want to fix that now. One – today it’s free (second Sunday of every month). Two – the museum is one of few U.S. institutions dedicated to the arts and culture of Asia and the Pacific Islands. Three – it’s a beautiful building, and a gorgeous and peaceful courtyard, complete with the kid-favorite koi pond. And four – the Silk Road journey upstairs will delight little imaginations (and fuel your own, too). There you have it, now go visit! You may have heard the term, but if your kid asks, can you answer? Today you can all learn about the Salinas de San Pedro wetlands habitat at Cabrillo Beach by using binoculars and microscopes to observe live animals. See the birds of the marsh, learn about native plants and observe the changes in the tides. And come away able to answer at least one of your child’s questions! Jul 11 – Jul 12 at noon to 8 p.m. The beautiful Lotus flowers are back in Echo Park Lake and so is the annual festival, featuring live music, dance and entertainment from a variety of performers representing many of the diverse countries of Asia and the Pacific Islands. Enjoy arts and crafts booths, artist demos, community booths, shopping boutiques, and the international food booth. The free Cañon Summer Concert Series features all kinds of upbeat music from jazz and classic standards to Big Band. Seating is available on a first-come basis. Bring a meal to enjoy. (Or pick up a tasty picnic on the grounds at Bouchon Bakery!) Plentiful seating provided on a first-come basis with open grass area for picnic blankets, tables and chairs. There’s a different concert every Thursday night from (Summer) June 4-September 3. Please note that seating is not provided, but all concert-goers are welcome to bring low beach chairs and blankets and sit on the Pier deck or the beach. Every Thursday (mostly summers) 5 p.m. to 9 p.m.
Marina Beach (Mother’s Beach) is transformed into a waterfront food haven every Thursday evening with “Beach Eats” where popular food trucks gather to offer the hottest bites in town. Pack a picnic lunch for your day with the kiddos at Mother’s, and then don’t even worry about dinner – just fill them up and then bring them home to dump them in the tub! Check the schedule to see what trucks are showing up this week. Every Saturday at 7 p.m. This free outdoor concert series features local (and some not so local) up-and-coming bands of varying genres. Grab a drink or a nosh, hang out under the stars and enjoy the good music and vibe. Concerts are all-ages with open seating. It’s a great way to get out on a Saturday night when you don’t feel like splurging on a sitter! KCRW and the Annenberg Foundation are holding their summer concert series, Sound in Focus, a free, all-ages concert series inspired by the “Emerging” exhibit at the AnnenbergSpace for Photography. The concerts will be held at Century Park in Century City. “Catch a wave and you’re sitting on top of the world!” So sang the Beach Boys, and even if your little ones are too small to hang ten on their own, the whole family can enjoy watching some of the best surfers across the globe. There are competitions in body surfing, surfing, sand soccer, volleyball, paddleboard, lifeguard championships, dory racing and even youth swims and paddles. Aug 4 at 6 p.m. to 9 p.m.
Glassell Park is joining over 37.8 million neighbors in celebration of National Night Out, America’s Night Out Against Crime, which will run alongside the Neighborhood Watch Town Hall organizing event. Connect with your area representatives, meet your neighbors and learn about city services. They will also provide information about Neighborhood Watch, and connect those who want to be part of an existing Neighborhood Watch or organize a new one. And to keep things fun and tasty, they will also have a chili cook-off and pie baking contest! For the remainder of 2015, Well Fargo’s generous birthday present (Heal the Bay turns 30 this year!) to Heal the Bay will allow Aquarium visitors free admission the first Wednesday of each month. Take a self-guided tour of the beautiful 2-acre open-air science park, where staff will be on hand to answer questions. Learn about our coastal ecosystem and explore the wonders of nature right in the middle of urban Los Angeles. Is it too early to begin thinking of Halloween? You might get some ideas at this new exhibit, especially if you’re going to an elegant costume party! Join us at Bergamot Station for a 7-hour marathon of debates, live performances, readings, art installations, screenings and music. The Comedy Garage is a weekly stand up show in the heart of Echo Park at private club Rafa’s Lounge (pass required http://goo.gl/Fn65Bx ) come see comedians in a uniquely intimate venue and get down to the beats from AC the PD from HipHopPhilosophy.com Radio. Over the last 7 years, I’ve created and facilitated hundreds of networking events for the NYC Entrepreneurial Community. I’ve also been a prolific networker myself attending all kinds of events across the country. Movies projected on actual film are a rarity these days, 16mm doubly so. Cinefamily offers an exception to the rule with Mike Leigh’s Naked, a classic of the ’90s featuring David Thewlis’ greatest performance (sorry, Professor Lupin fans). He plays Johnny, a miserable but philosophically minded Londoner ranting his way through the streets at all hours of the night — the kind of character it can be hard to root for but even more difficult to turn away from. Some people like to show off by proving how smart they are to a bunch of strangers. Other people like to show off by drinking profusely without vomiting. At the inaugural Slurring Bee L.A., showoffs of either ilk can, well, show off. The game is simple: Pay five bucks and get a fruity shot and a word to spell; get it right, and get a free shot for each round you stay standing (literally and figuratively). Hosts Billy Parker and Mandy Levy have toured the Bee to Cincinnati, NYC and Chicago — now Angelenos have the chance to slur themselves to victory and a slot in the Tournament of Champions. For nearly 20 years, Eleni Mandell has released a series of uniformly consistent pop albums. The local singer-songwriter and member of harmonizing supertrio The Living Sisters might occasionally shift the emphasis from folk to country to jazz, but all her recordings are distinguished by gently melodic balladry and introspective lyrical observations. Mandell has never had a breakout pop hit, but her reputation has grown to the point where numerous other performers have recognized her unique voice, and tonight several of her stellar admirers gather in a benefit for the Plastic Pollution Coalition to mark the release of a tribute compilation of her songs. In addition to such peers as Priscilla Ahn and The Bird & the Bee’s Inara George, classic rocker Jackson Browne will be on hand to literally sing Mandell’s praises. Glendale may not have a comedy club, but the city now boasts its own comedy festival. Spread out over three days and three venues (Alex Theater, Pierre Garden, Stars on Brand), the inaugural Glendale Laughs Comedy Festival features all-female, African-American and LGBTQ-themed shows, among others, and more than 100 performers, including well-known comics Brody Stevens, Kira Soltanovich, Dan St. Germain, Erin Foley, Al Jackson, Ryan Stout and 2 Broke Girls’ Jonathan Kite and many others. Produced by Comic Cure, the event benefits nearly a dozen area charities, namely Glendale Arts, My Friend’s Place, YWCA Glendale and Kitten Rescue. As part of its conversation series, the Broad Museum takes over the Theatre at the Ace Hotel for The Un-Private Collection: Thomas Houseago + Flea. The Red Hot Chili Peppers bassist is also an art collector and friend of the L.A.-based British artist, who currently lives in Flea’s former home in Los Feliz. The two will discuss Houseago’s work and the “impact that visual art and music can have on each other.” Houseago’s one-eyed, 15-foot-tall bronze sculpture Giant Figure (Cyclops) is featured in the museum’s latest exhibit, “Creature,” which includes paintings, drawings, prints and more sculpture by Joseph Beuys, Jean-Michel Basquiat, Damien Hirst, Takashi Murakami, Andy Warhol and others. Two of the most politicized subjects in our current political carnival are the U.S.-Mexico border and women, and the incoming administration seems more than eager to build up the former and tear down the latter. Bringing together the two, the Femme Frontera Filmmaker Showcase features short films by female directors from cities on both sides of the border. These include Laura Bustillos Jáquez’s documentary Undocumented Freedom, which follows a young man who was brought to the United States illegally as a child; The Appleseed Project by Yennifer Lucero, about a cross-border community of female musicians; and La Catrina by Illiana Lapid, in which a grieving widow becomes the Dia de los Muertos figure of death in order to find her dead husband. Manjula Martin discusses her new anthology, Scratch: Writers, Money, and the Art of Making a Living, with book contributors Julia Fierro, Susan Orlean and Kima Jones. Manjula, who was editor of the now-defunct online journal, Scratch, abandons the romanticized image of the starving artist and instead looks at the “economy of literature.” The collection features essays and interviews with heavyweights authors, including Orlean, Jonathan Franzen, Roxane Gay, Richard Rodriguez and Nick Hornby, in addition to lesser-known writers, editors and bloggers, who share not only how they successfully merged art and commerce, but how you, too, can do what you love while making ends meet. Partially inspired by President Donald Trump’s anti-Latino and -immigrant rhetoric, Second City combats all the hate with what it does best: comedy. Directed by Martin Garcia, the theater’s latest sketch show, HisPanic Attack, mocks ethnic misconceptions about Hispanics, including the myth of foreigners stealing Americans’ jobs, and blasts stereotypical film and TV roles, such as the nanny, janitor or fiery Latina. The cast, featuring Roxana Altamirano, Mario Barra, Jorge Berrios, David Luna, Jay Pichardo, Jennifer Polania Garcia and Xochitl Romero, even sings a parody of “Part of Your World” from The Little Mermaid to spoof Trump’s proposed U.S.-Mexico border wall. A new cult classic whose small but devoted following is still hoping against hope for a sequel, 2012’s Dredd is, like a lot of dystopian sci-fi, the kind of movie whose vision of the future seems a lot less implausible now than it did on Nov. 7. Karl Urban takes over for Sylvester Stallone in this remake, which is ultraviolent but less concerned with merely serving as the prelude to yet another installment than most would-be franchise starters. I am the law! The Editors’ Lounge returns on Friday, January 27th, with clouds of data for remote editing, collaboration and workflow management with presentations from EditShare, BeBop Technology and Simian. The event will be held at AlphaDogs Post Production 1612 W. Olive Ave., Ste 200, Burbank, CA 91506 beginning at 6:30 pm. RSVP is required to attend. There is hundreds of down payment assistance programs available across the U.S. Come find out which ones may actually help to buy a home. What are the benefits of using these programs? Come take a look. Since 2006, Paul has been the lead photographer for the award winning Cabo Living Magazine – a lifestyle periodical focusing on the Baja peninsula. While shooting for the magazine, he’s covered restaurants, luxury houses and condos, hotels, and portraits. “This is the stupidest incarnation of the American dream and it must be realized.” That’s the mission statement of the organizers of video collective Everything Is Terrible!, who for nearly 10 years have collected approximately 14,000 VHS copies of Jerry Maguire, Cameron Crowe’s hokey, 1996 movie about a shark-in-a-suit sports agent going through an identity crisis. Twenty years after they gave us several memorable catchphrases (forget the others, “I didn’t shoplift the pootie” was the best), EIT! pays tribute to Tom Cruise and cast with The Jerry Maguire Video Store, an art installation modeled after a ’90s-style video store comprising only VHS tapes. (They’re also planning a permanent pyramid of the videos in the desert.) Among the performances for the duration of the exhibit include Yacht, Kate Berlant, Brandon Wardell, Chrome Canyon, Daedelus, DJ Douggpound, Yung Jake and a live score of another ’90s film, Home Alone 2. The Compassionate Town Hall: Homelessness in Long Beach event is being hosted by Justin Rudd and Bay Shore Church and will address homelessness in Long Beach. Every week at the Colorado Wine Company Tess Barker (Lady to Lady podcast), Miranda King (Hard for Cards podcast) and Scott Luhrs (Chatterbox Comedy Night) bring their favorite comedians and performers in Los Angeles to tell you hilarious and sometimes heartbreaking true stories. Always a great lineup, always free! Doors at 8 PM, show at 8:30 PM. “Shelter Me: Community Matters” is hosted by Dr. Jane Goodall, who is known for her groundbreaking work with chimpanzees in Africa. For the past forty years she has been educating people about the need to conserve our natural world. The purpose of CNG/Christian Network Groups, is to restore the preeminence of Jesus Christ in business. Yes, we want to network with each other, develop working relationships, promote and market each other’s companies, but we want to do that in a clear and cooperative way to where God is taking us. Working on a startup? Have a question about what it takes to be an entrepreneur? Developing the next great piece of technology and you need help figuring out how to bring it to market? You’re in luck because a select group of CSUF Startup Incubator Mentors make themselves available for a couple hours a week to answer questions. Learn from Keynote Speaker Mandell Crawley, Chief Marketing Officer at Morgan Stanley and leaders in the African American community and others, as they share their insights on the best marketing practices, grants, loans, business license and much more presented by Morgan Stanley. The first stop of the We Love Kandy tour will be Los Angeles, California on Saturday February 4th 2017! This will be the largest attended, most creative, most recognized and favored Dance Party! Come and join us, Trash Free Earth and Hike Inland Empire, on a sunset trail cleanup at Graffiti Falls. Join us for a FREE introduction on how to receive your Real Estate license. What are the requirements? How can I start my career? What do I need to pass the state real estate exam? We will answer all your questions! Meet, sit down and interview with Fortune 500 employers at The Los Angeles’s Premiere Sales & Professional Career Fair. Professional Dress (suit & tie or business suit) Bring plenty of resumes. Become a Resource Family to a Child in Need – Learn How! (North Hollywood, CA) Adoption is a meaningful way for individuals and couples to fulfill their dream of parenting. There are approximately 64,000 children in foster care in California. Los Angeles County’s foster care population exceeds 21,000 children with 500 foster children waiting to be connected to a family who will adopt. Children’s Bureau offers a comprehensive foster care and adoption program that brings families together for a lifetime. The agency is in need of resource families for children in foster care while reunifying with birth families or to provide legal permanency by adoption. 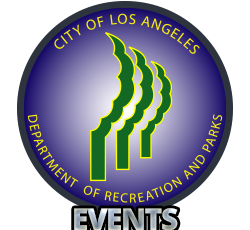 ome and join us, Trash Free Earth, on Saturday, February 11, 2016 at 9:00 AM on a trail/park cleanup at Elysian Park. Due to the size of the park, we will only focus on one part of the trail each time we go to Elysian Park. There is a lot of litter at this beautiful park. We need your help to make it trash free. Join us for this free and informative “E-Commerce and Data Security Workshop!” Speaker Frank Fletcher (outsideGC.com) will provide an overview on Online Privacy, Data Security and HIPAA. He will cover how and when to implement data privacy measures, how employees and contractors factor into data security and overall best practices when doing business in the U.S., with addtional insight on the EU and Asia. Are you totally satisfied with your financial situation? If not, what are you doing to change it? The real question is… are you going to keep thinking about it? Or will you finally take the actions necessary to get free and manifest your dreams? All volunteers must attend at least one food handling safety meeting before we can accept any baked donations. This ensures the receiving child’s safety and makes for a better experience all around. This is a great opportunity for you and your family, friends or associates to get involved. All you need to do is show up…and bring a bucket if possible! Co-founder of Trans-Sierra Xtreme (TSX) Challenge, Chris Casado is passionate about exploring the Sierra backcountry. He has spent countless summers camping in secluded lakes basins, crossing high alpine passes, following rushing rivers, and climbing majestic peaks. Join Chris for a presentation of his favorite trans-Sierra adventure, a week-long 75-mile journey across remote sections of Sequoia and Kings Canyon National Parks to the summit of Mt. Whitney (14,505 feet). Learn the nuts and bolts of preparing for a multi-day backcountry trek, including gear, permits, Leave No Trace principles, and weather and safety considerations. Find out how motivated individuals of all ages can safely and confidently venture into the rugged beauty and tranquility of the Sierra. 1328 Montana AveAn award winning film narrated by Liam Neeson, Love Thy Nature shows how deeply we’ve lost touch with nature and takes viewers on a cinematic journey through the beauty and intimacy of our relationship with the natural world. Love Thy Nature shows that a renewed connection with nature is key not only to our well being, but also to solving our environmental and climate crises. Monthly business training designed to grow your business. You won’t want to miss one meeting, because you will miss too much. Starting in the basement of Grand Central Market Suzanne will briefly describe the defining characteristics of this poetry, whose dark themes, atmosphere, and voice of cool detachment are inspired by the low budget black-and-white crime movies of the 40s and 50s. She will then give a short overview of the genre, including some brief readings.